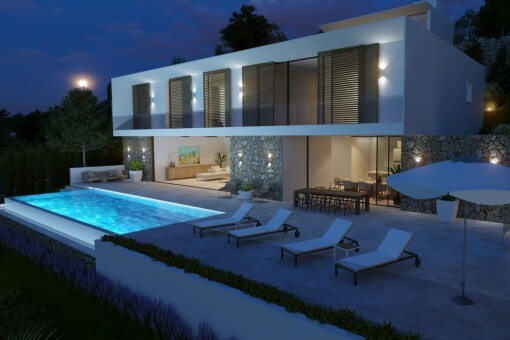 This grand luxurious villa is being built on a plot located at the top of a hill in Costa de la Calma, with wonderful panoramic views of the sea and the bay of Santa Ponsa. It is expected to be completed in the 2018 or 2019. The company building this property has had extensive experience in the renovation and construction of luxury homes which have always been very well accepted by their buyers and sold quickly. 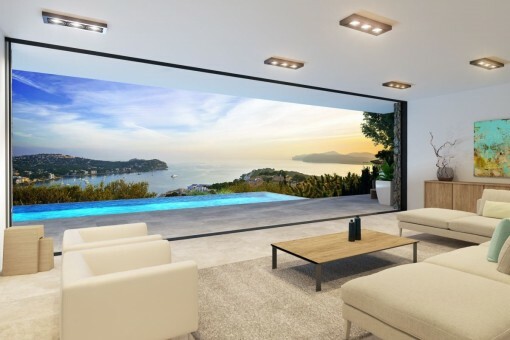 They have achieved a very successful combination of modern style with large, open spaces, plenty of light, newest generation equipment with Mediterranean touches such as natural stone floors. 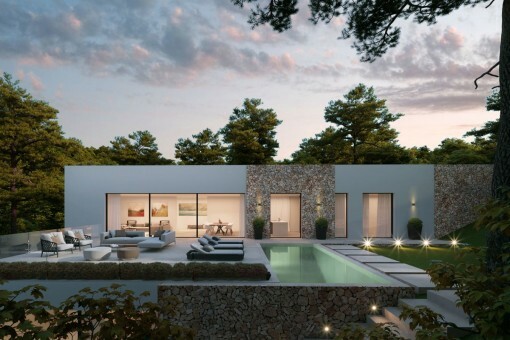 This house will offer space for the whole family and their guests, and all the comfort expected from a property of this category, including 2 lifts, a Birgit Müller kitchen, salt water pool, domotics system and a separate guest appartment. 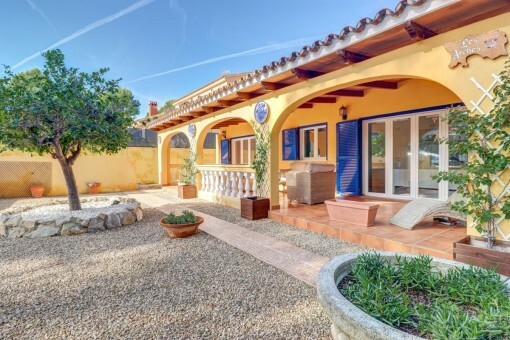 All this in a priveleged location within easy reach of golf courses, the beach and the entire infrastructure found in the southwest of Mallorca throughout the year. This map shows the situation of the Costa de la Calma in Mallorca. We have compiled a selection of the most beautiful beaches, golf courses, marinas and hotels and restaurants for you. 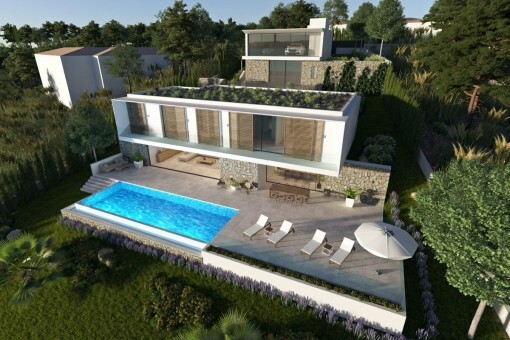 I'm interested in: Modern luxury villa with sea views under construction in Costa de la Calma (Objekt-Nr.108789). 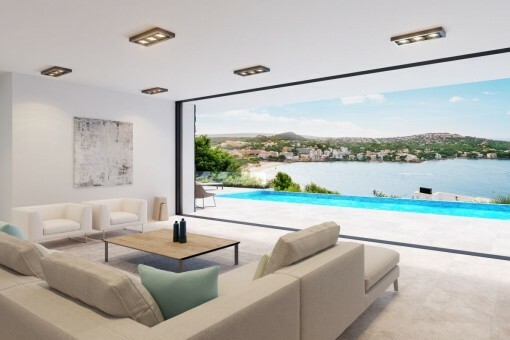 you are reading: Modern luxury villa with sea views under construction in Costa de la Calma-purchase · Porta Mallorquina Real Estate Rating 4,8/5 by 200 testimonials.